If you have read my blog for a while you may have realized that I am a little, let’s see, what’s the word…ah yes, thrifty. So in the spirit of thirstiness, I have been attempting to get some more life out of blue jeans my children run wild in. I am not sure if something has changed in the manufacturing over time, but the knees on their pants tend to split open in a relatively short period of time. Maybe it is the tree climbing, the running, or the playing in dirt that my kids still do within our rural lifestyle, but it seems that they are hard on their clothes. So of course that means that we have “good” clothes and “play” clothes. However when the knees get bad enough that they can stick a leg threw, I find a way to mend them to get a little more time out of them. Sure I could cut them and make them shorts, but trust me they have an abundance of those. I have used fabric patches, but they do not tend to last as long as I would like, tearing out and just becoming flaps over the open knees. So I have taken to making my own, with crochet. 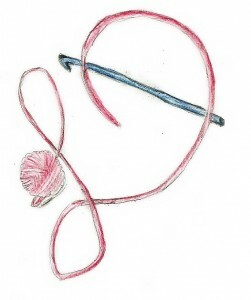 I crochet a few motifs, different shapes like flowers, and different colors. 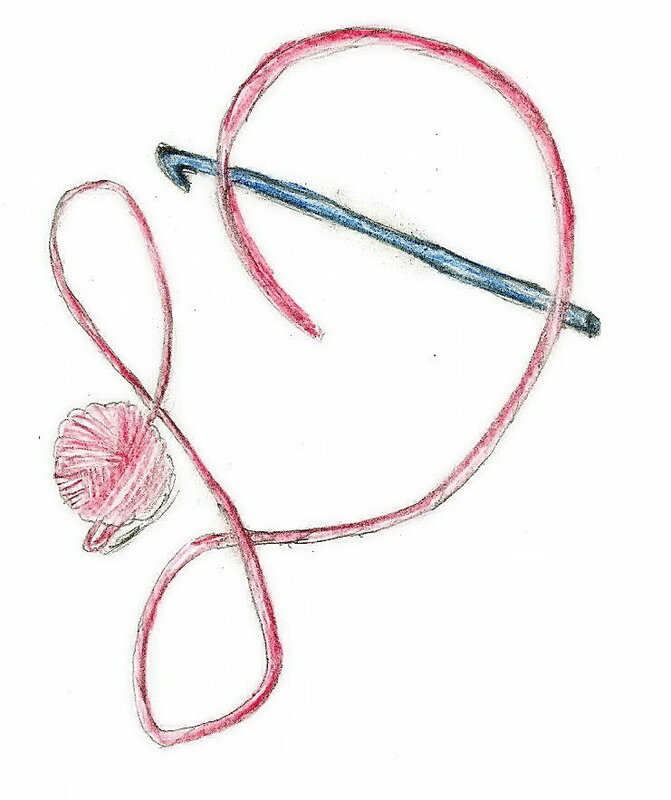 My kids enjoy coming up with ideas for me to crochet into patches, and the stitches seem to allow the fabric to stretch more and thus do not wear out as quickly as the fabric patches. I then pin them in place and reluctantly sew. I say reluctantly as sewing is not my number one favorite skill, but at least this way I get to enjoy some crochet in the chore. I keep telling them that it is a new fashion statement, who knows maybe it will be. I just really hope that they are not tearing out the knees so that they can keep up with this “new” fashion. 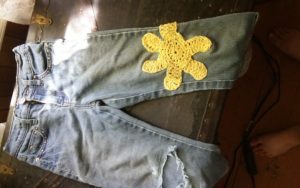 This entry was posted in Encouragement, Re-Invented Wednesday, website and tagged Crochet, dean, fix, jeans, kids, knees, linda, Linda Dean, mend, motif, motifs, patch, patches, re-invent, sew, sewing, wednesday by webmaster. Bookmark the permalink.